East Longmeadow, MA – May 3, 2013 – Excel Dryer, Inc., manufacturer of the high-speed, energy-efficient XLERATOR Hand Dryer, today announced that Made in the USA Certified has named Excel Dryer as the winner of the inaugural “Made in USA Certified Awards,” in the “Medium Company Category.” The award will be presented at the 9th Annual Manufacturing Leadership Summit during an awards luncheon on Tuesday, May 14, 2013 at the Breakers in Palm Beach, Florida. The inaugural award program included three manufacturing company award recipients, only one in each category: large company, medium company and small company. Applicants were evaluated based on company growth performance, overall business strategy and innovative approaches such as excellence in internal operation, corporate training and manufacturing processes, including sustainable practices. “Over the past ten years, XLERATOR has become the new industry standard,” said Gagnon. 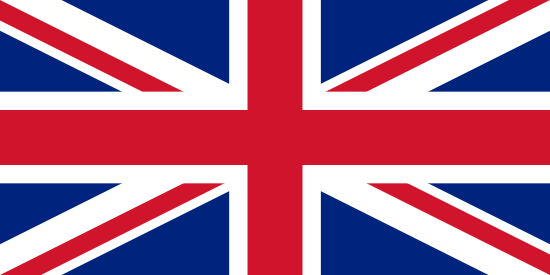 “XLERATOR has less than a one percent failure rate making it the most reliable unit on the market for our customers in the U.S. and abroad.” International market demand is increasing rapidly in countries like Mexico, Canada, Central and South America and Western Europe, including Germany and the United Kingdom. Mexico alone represents 26 percent of Excel Dryer’s export sales YTD, and six percent over all. This year marked the addition of several optional accessories including: exclusive digital imaging technology for custom cover designs adopted by organizations such as the New England Patriots, Dunkin Donuts, Starbucks, Subway, Frito Lay and many more; newly designed XChanger® paper towel dispenser retro-fit kits enabling a complete transformation from paper towels to XLERATOR equipped restrooms without major renovation needed; and an anti-microbial wall guard supporting superior hygienic standards. 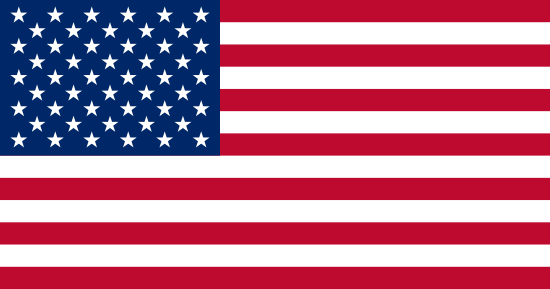 Excel Dryer has grown to more than twelve times its size since the release of XLERATOR and manufactures the only hand dryer to be Made in the USA Certified®, the first hand dryer to be GreenSpec® listed and also helps facilities qualify for several LEED® credits. 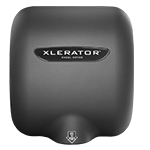 As all facilities are now looking for ‘”green” and cost-saving initiatives; the installation of XLERATOR hand dryers accomplishes both. 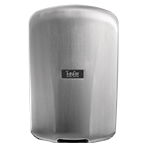 XLERATOR is preferred by interior designers and specified by architects more than any other hand dryer. 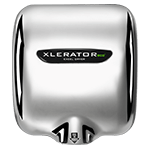 XLERATOR has been pursued by numerous cause marketing initiatives including the Green Apple program and the Green Schoolhouse Series. Green Apple, an initiative of the Center for Green Schools at the U.S. Green Building Council, is a global movement to put all children in schools where they have clean and healthy air to breathe, where energy and resources are conserved and where they can be inspired to dream of a brighter future. As part of its collaboration with Green Apple, Excel Dryer has designed a Green Apple XLERATOR® (XL-SI-1.1) custom cover hand dryer. A portion of the proceeds from each Green Apple XLERATOR® sold will be donated to Center for Green Schools’ programs, which are aimed at transforming schools into sustainable places to learn and play. Excel Dryer also supports the Green Schoolhouse Series, a program leading the build of environmentally friendly schools around the country. This program is a catalyst for change that brings together both public and private organizations, school districts, municipalities, communities, media outlets and volunteers to build environmentally-sustainable schoolhouses on existing Title I, low-income, K-12 public school campuses.